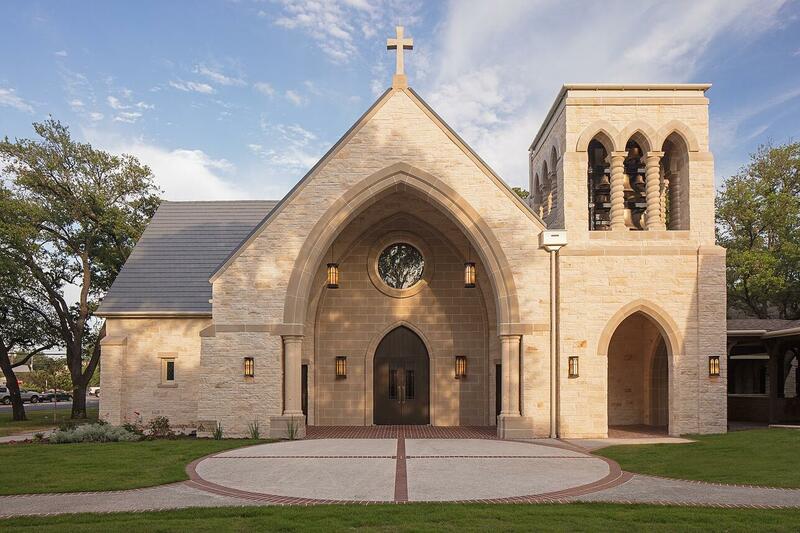 In the 1940's and 50's, the Episcopal Church of the Good Shepherd built a collection of buildings in a distinctive stone Gothic style. Over the years as the Tarrytown area grew in size and popularity, the church grew by acquiring resdiential lots and buildings until they had a campus that was about four acres on both sides of a one block residential road. This growth led to a variety of issues: The church was making do with various aging buildings and inefficiently converted residential structures. An amalgamation of infrastructure such as old water lines were in constant need of repair. The large historic trees needed to be preserved. The campus was divided by a city street. The architects began with a comprehensive Master Plan that addressed issues of adding new buildings and parking on a tight urban site. The process resulted in a vision for a unified plan that organized the new and existing buildings around a campus concept with denser construction away from the adjacent residences. This concept addressed concerns of both the congregation and the neighborhood. The church campus would blend in with the residential surroundings and keep the smaller residential feel of the original buildings. 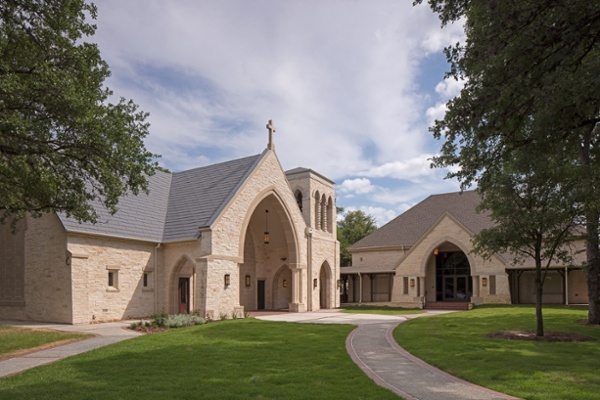 Construction was phased both for cost issues and for the ability to keep the church active while renovating or replacing nearly all of their existing structures. The plan envisioned the use of traditional massing and detailing for all of the new structures. 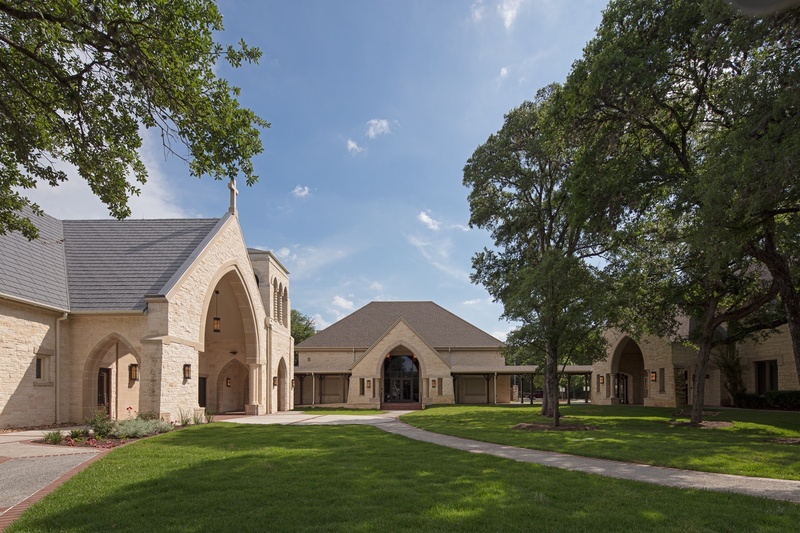 The success of the plan has resulted in an outstanding Phase I building program consisting of a new two-story administration building with a large choir/chapel space, and a new nursery addition. Approval of the neighbors was essential in securing the street closure needed to create a unified campus. This phase also included upgrades to the site utilities to pave the way for future phases and creating a nursery central to the campus. Good Shepherd on the Hill, the secondary campus, was renovated in Phase II. 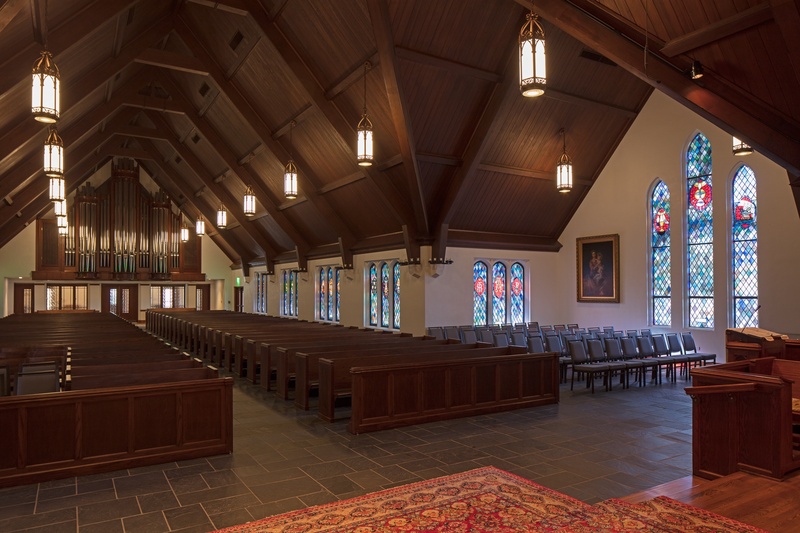 These buildings provided a temporary home for the School during Phase III, as well as a new congregation, in an underserved area, to minster and teach once the school had moved back to the main campus. 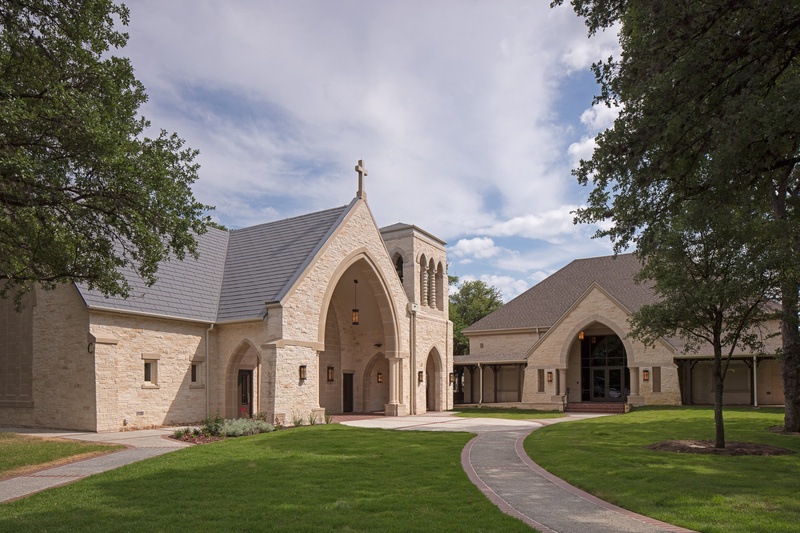 For Phase III, there was an addition of a new two story educational building, a new Parish Life Center, subgrade parking and drop off, and new playgrounds. The Parish Life Center, designed for larger events and worship, includes a full commercial kitchen. The phase III construction called for the removal of the church's aging central plant. 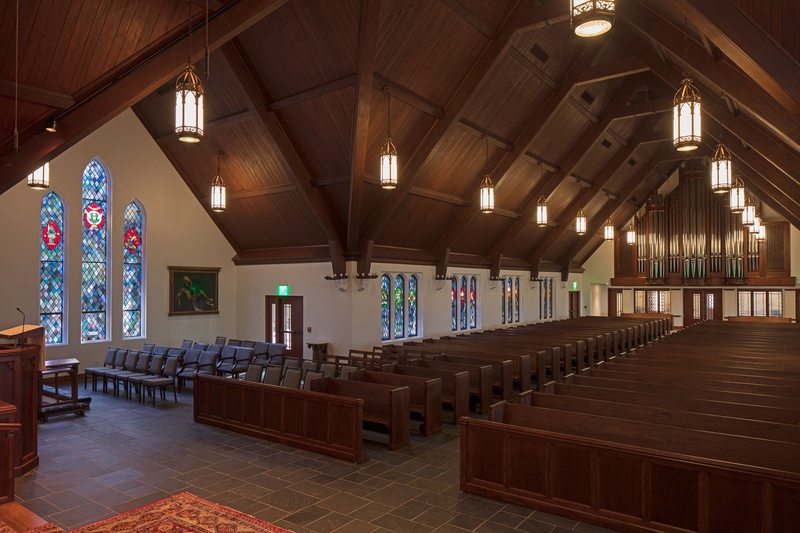 The work included adding new HVAC to the existing Parish Hall and creating a temporary HVAC system for the worship space that would be incorporated the the next phase. 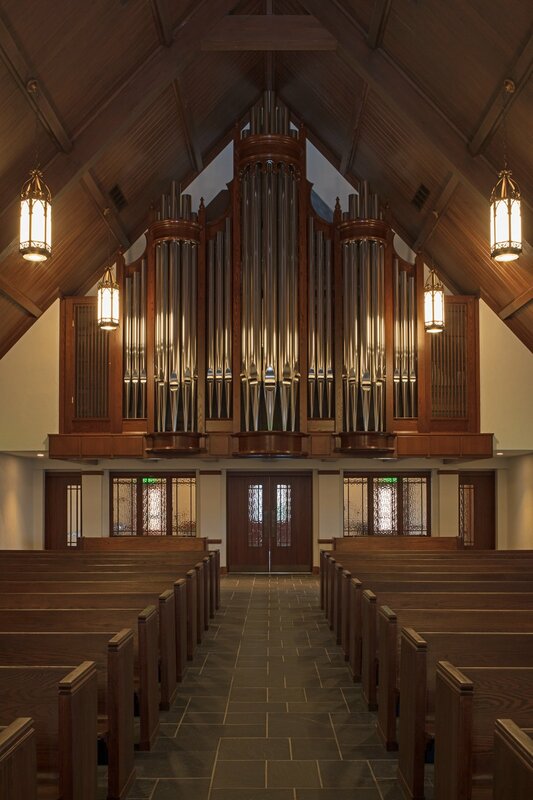 With the addition of a new narthex and maintenance, Phase IV focused on the worship environment. The new narthex was added to the front of the church to provide a much-needed gathering space as well as restrooms and support spaces. 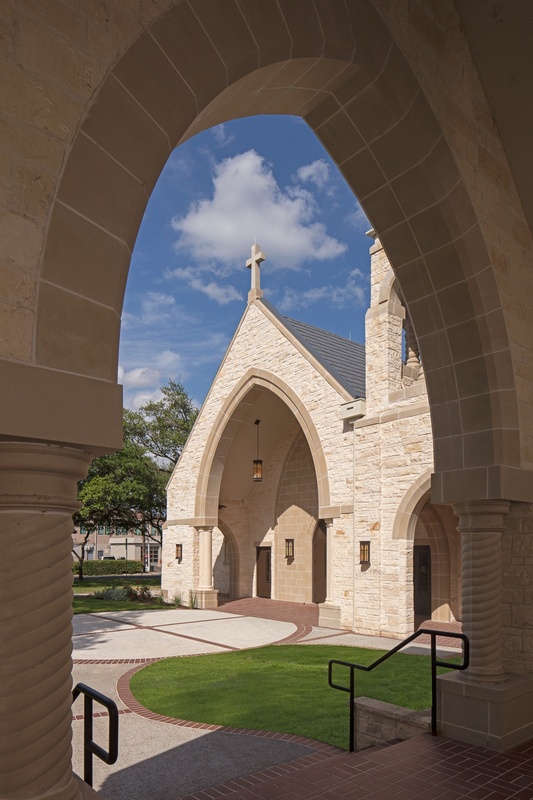 The entry of the Narthex completes the triptych of arched entries with Phase I and Phase III buildings that creates an inviting courtyard that is symbolic of three phases of church life. 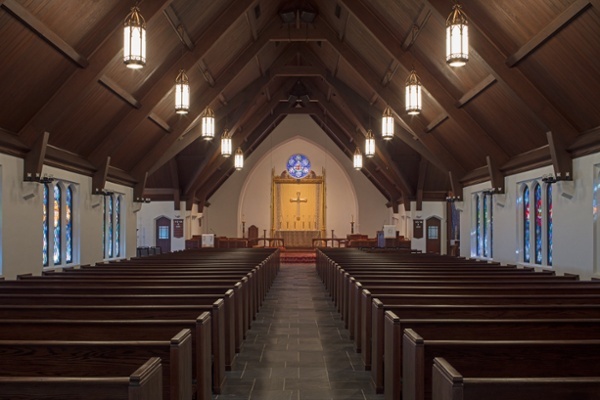 Old elements were upgraded including the chilled water system, the asbestos tile flooring being replaced with slate, the asbestos shingle roof being replaced with metal, refurbishing and adding slating, upgrading the existing light fixtures to LED and cleaning and renovating the stained-glass windows. A new Létourneau organ and a new 26-bell carillion were also major parts of the upgrades to the worship sound environments. 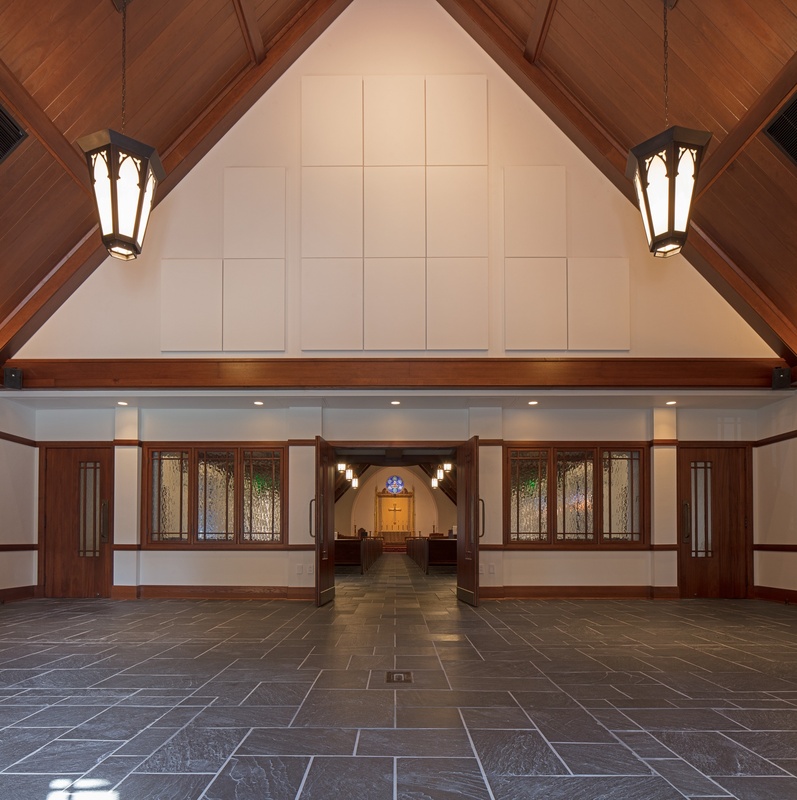 Pedestrian-friendly courtyard around the narthex, office, and parish hall.